The internet has irrevocably changed the way we do business. Years ago a business would rent a storefront. They hired salespeople, ran ads, joined community groups and hoped they were selling what the town customers needed and wanted. The internet changed everything. Today, the reach of a business extends far beyond the local customers. The business communicates differently with customers and employees, now using email and instant messaging for faster turn-around. Customers' buying habits have also changed, primarily focusing on internet shopping. Australian digital spending grew from $1.71 billion in 2008 to $7.4 billion in 2016. Customers, as well as competition, are all over the world. Websites, search engine optimisation and other internet tools allow businesses to reach more potential customers than they ever dreamed of. Potential customers use search engines to research and compare products and services. According to the 18th edition of Nielsen's annual Australian Connected Consumers Report, Nearly all Australians have engaged in online shopping and approximately one-fourth buy online at least once weekly. Internet surveys, feedback forms and customer reviews are used to find out what customers want and deliver it. All consumers are looking for information about the products and services needed to solve their problems. The average buyer spends a great deal of time researching online. They find themselves swimming in an ocean of information. Because of this fundamental shift in customer behavior, businesses must look for new ways to market their product or service. They need to ensure that they will be found by potential buyers, who are using search engines, blogs, social media and product reviews. If you or your business can offer buyers important information, or educate them about a product or service, then you'll begin to build a trusted relationship that may provide them with a solution. How can a business become a part of a buyer's solution? The answer is the inbound sales process. What is the inbound sales process? Inbound marketing is a term created by HubSpot. It describes the process of focusing on buyers and their individual needs, points of pain and goals. It also covers techniques that help a business be found by buyers. 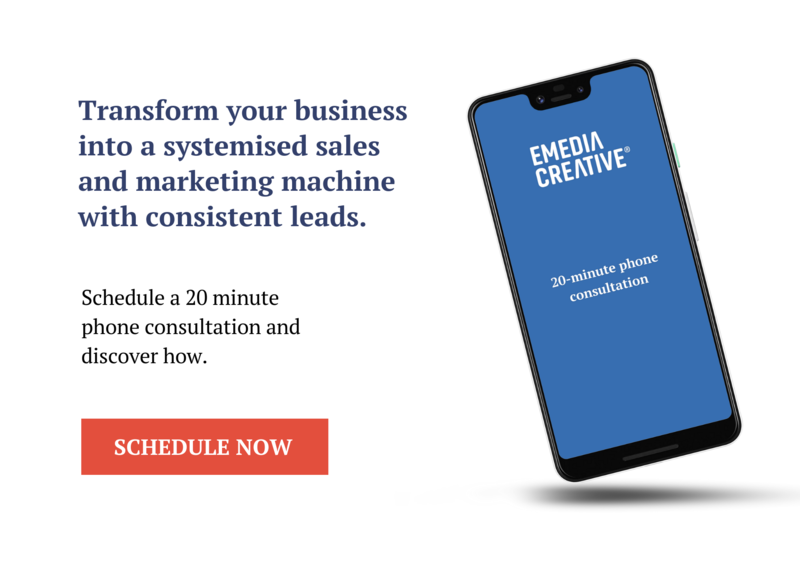 The inbound sales process helps a business attract qualified prospects, someone who is likely to become a customer, as well as establish credibility for your business. Again, when we look back at the past, marketing used to mean cold calling, list buying, billboards and trade shows. These methods are outbound marketing. Cold calling, for example, is based on the assumption that the buyer needs and wants what you are selling. Inbound marketing, however, is a way to draw potential customers in, rather than pushing a product or service outward, to a customer who may not even be interested in buying. Inbound marketing doesn't annoy people or intrude on their daily routines. What is the buyer persona? The most important step in effective inbound marketing is defining your buyer personas. A buyer persona is a composite, or a fictional representation of your ideal customer. To create a buyer persona, you may draw upon a combination of market research and actual data about your existing customers. This information may include demographics, behavior patterns, goals and perhaps a few educated assumptions. You should include as much detailed information as possible about your buyer persona. It helps to know what your persona's job is, what industry they work in, their qualifications, what challenges they encounter, what solutions they are looking for, where they live, what their training or education do they have, and what questions do they they ask about your product or service. Buyer personas help you better understand and relate to your customers. They are your audience. By analyzing the buyer personas, you can tailor your messaging and marketing content to needs and concerns of various groups. Your personas may be fictional, but their needs and concerns are real. Everything you do and everything you create should be connected to solving the persona's problems. By using all of your detailed research, you will be better prepared to answer their questions, meet their challenges and understand their "pain points". By adapting your marketing strategy to the needs of your prospective customers, they will be encouraged to continue their journey and engage further with your business. Customers moving through the inbound process are on 'the buyer's journey.' It reflects the customer's progression along a path which each persona follows in order to become a customer. The buyer's journey includes research, consideration, and ultimately a purchase. Your content is what keeps your buyer moving towards you. If you understand and correctly use the buyer's journey, by the time the buyer is ready, it is easier to close the sale. Otherwise, you may lose more customers along the way. Awareness Stage. Whether he knows it or not, the buyer has a problem. In the beginning, he may not even know your business exists. In order to ease the pain of the problem, the customer begins researching, learning, and trying to find a solution to his problem. You want to become a trusted resource for the customer. You may do this by educating him or her, using blogs, white papers, or other content that addresses the problem or answers questions. Instead of loud, intrusive ads, or spam emails, you can have a helpful dialog with your visitor. Consideration Stage. At this stage, the customer has a clearer idea of the problem. Now he or she begins to actively look for options to solve it. Gradually, they will narrow the choices down to a few companies, approaches, or methods to solve the problem. Then the research begins again, but with more direction. Most buyers return to a search engine several times over the course of their research, each time focusing on more specific questions. Decision Stage. The buyer has chosen a solution. There are still considerations, such as implementation, budget and customer support. Further research may include reviews, data, and any other materials that ensure he is making the right decision. At this stage, the business should serve as a reliable resource, offering product comparisons or perhaps a free trial, rather than making a hard sales pitch. All businesses, even traditional storefronts, have been affected by the internet. Companies connect with their customers through a variety of online networks. Customers are also communicating with one another and sharing comments and reviews on brands. According to Google, 82 percent of smartphone owners do product research online even while they are shopping in a store. Buyers have changed the way they shop. They no longer want to have something sold to them. They want to decide what they need and have control over their own buying process. Attract. To have a successful inbound marketing strategy, you must provide information that people want and need. You need to provide information when they need it and are looking for it. The key is creating exceptional content that draws people to you. You also have to make sure people find your content. As more people benefit from your great content, your online presence will grow. Three important ways to attract customers are keywords, social media sites and blogging. Convert visitors into leads. Once you have online visitors, it's time to turn those new visitors into leads by getting their contact information. Contact information is valuable, however, many companies fail to take this critical step. If you want a visitor to provide contact information, you must offer something back, in the form of content. Content may be as varied as checklists, videos, eBooks, webinars, white papers, and more. You should provide at least one piece of content for each buyer persona. Buyers are converted by such methods as forms, landing pages and calls-to-action. Close. Now all of your hard work pays off. The closing stage is where leads are transformed into customers. Marketing tools such as social media monitoring, lead nurturing, and marketing automation will help ensure that leads are closed at just the right time. During the close stage, you'll encourage each lead toward making a purchase in a way that fits their individual interests and circumstances. Some customers choose to buy immediately, without comparing brand features or prices. Others require extensive comparisons and persuasion. Knowing when to reach out to customers can make the difference between closing the deal and letting it slip through your fingers. Delight. You want your customer's experience to go far beyond ordinary customer satisfaction. You want your customers to be delighted. You want them to be proud that they wisely chose you. You want them to be so elated by the product or service that they tell others about their fabulous discovery (you). It is much easier and less expensive to keep existing customers than to find new ones. The goal of this stage is to continue to engage with your customers so that they become enthusiastic promoters of your business. You may wish to create a customer newsletter, or even a blog specifically created for your customer base. Continuing to delight your customers will improve your ability to up-sell and cross-sell your products, as well as improving your retention rates. The goal of inbound marketing is to provide valuable content to your prospective customers. Rather than a sales pitch, it resembles a conversation, during which you may be able to solve your customer's problem. In this way, your business will create a foundation of trust and grow a long-term relationship with your customers. Branding is an essential plan to help your business succeed. It defines your businesses attributes and connects your business to your customer's needs. Branding helps your company stand out from the products and services provided by your competitors. An effective inbound marketing strategy provides great content all along the buyer's journey. Digital marketing tactics such as blogging, SEO, social media and others gently lead a customer to a brand. Inbound marketing offers a better consumer experience and as a result, your brand will be worthy of your consumer's trust. Outbound marketing usually involves a short-term advertising campaign. Inbound marketing, however, is an ongoing process. It takes a committed team to create content, build an online brand, and continue to improve and target your marketing efforts. The good news is that inbound marketing is less expensive without being less effective. Recent surveys reported that for inbound marketing, the cost per lead is approximately 60% lower than for outbound marketing. It is even more cost effective for smaller businesses. In addition, regardless of marketing budget, inbound marketing maintain a higher ROI. When a buyer is performing online research, you want them to land at your website. How does this happen? Marketing automation involves the software platforms used by marketing departments and organisations. These platforms take the place of manual processes. Automation software can be used to plan, organise, optimise, analyse and refine your inbound marketing program. It is often used for such activities as sending emails, scheduling blogs publishing and social media posts, and more. Tracking and measuring your budget and sales. Because of the different way inbound marketing functions, it requires different tactics. Therefore, it also requires a different set of metrics. Proper tracking and metrics allow you to measure your success and make any necessary adjustments. You may think that inbound marketing concerns are confined to the marketing department. 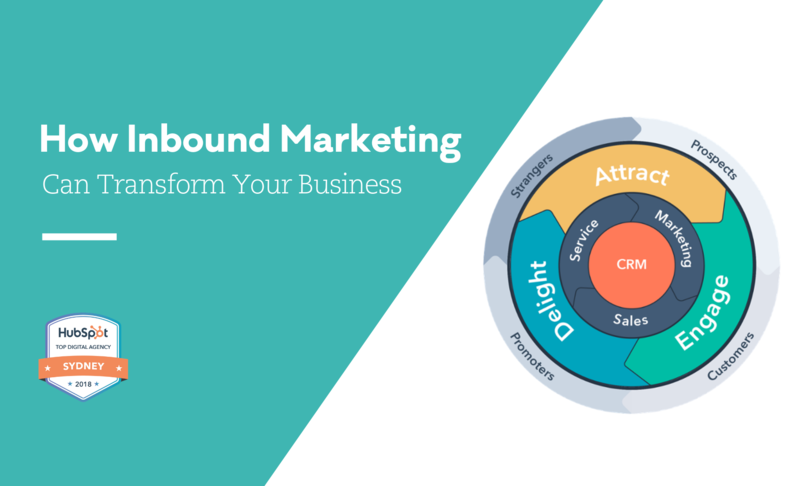 One of the most important benefits of inbound marketing, however, it that it allows businesses to align the marketing and sales departments. This integrated system of accountability means that everyone in a business or organization is working towards the same goals. It is clear that inbound marketing is good for business as well as customers. It generates more qualified leads. It keeps your brand relevant. It's easier on your budget.